Are you still using paper and pen for voting? 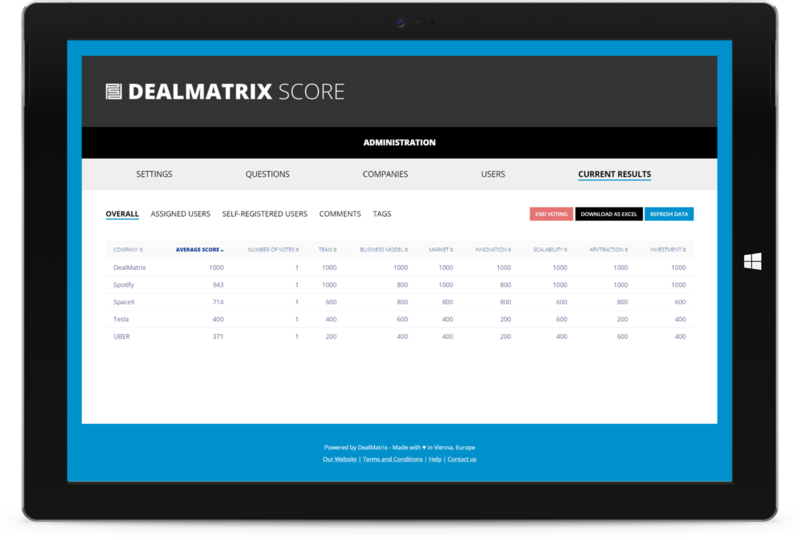 DealMatrix SCORE is your web-based voting and scoring solution for juries and audiences. The smarter way to run pitching competitions, startup weekends, hackathons, expert workshops and demo days. No need for jury members or the audience to download any apps. Just point any internet connected device to your event URL. Use your own domain or get started quickly with one of our short domains. Works beautifully on mobile phones, tables and PCs. Add your logo and change the colors to make it one experience for your audience or jury. 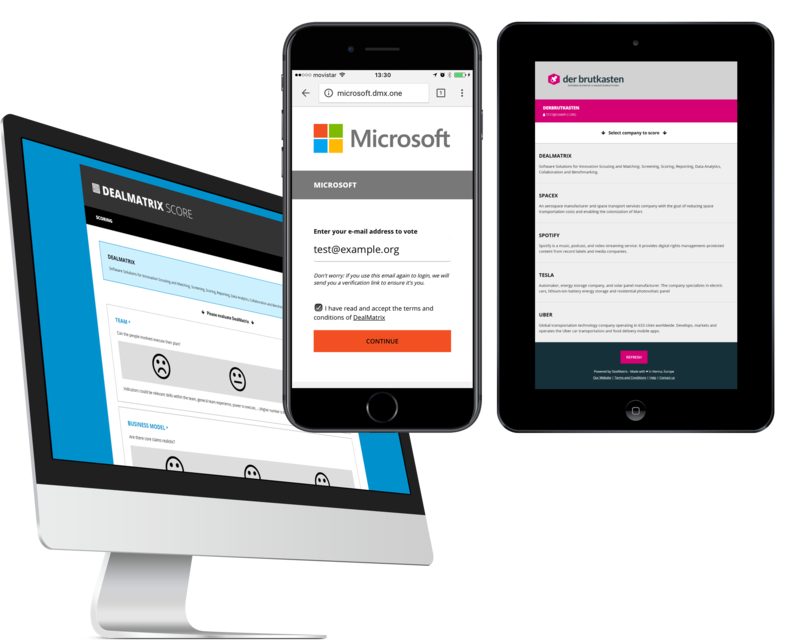 Choose one of our best practice scoring questionnaires or use your own to get the information you need. See who is scoring what in your dashboard. Motivate the audience or remind the jury to vote and submit their scores before you close the scoring and announce the winners. 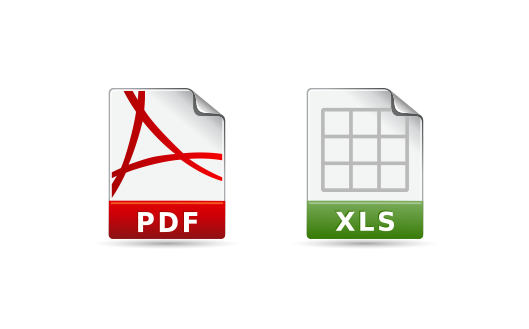 Get all the data for your event as a simple Excel download to analyse, follow-up or import to your own systems. One-click beautiful reports for your events to distribute to whoever you want. DealMatrix made the evaluation of the startups a breeze! They provided excellent support before and during the event so everything went smoothly. Dealmatrix supported us throughout our Cyber Security Startup Challenge – Security Rockstars – and using SCORE at the finals was very well received by jury and the audience.